WTOPTV dot NET: More "from out of the past..."
More "from out of the past..."
The month of October is over for another year now, and I forgot to remind you that, in addition to being the "halloween month," officially it is also National Popcorn Poppin month. And, National "Skip a day of school".....month too (according to wikipedia.org). 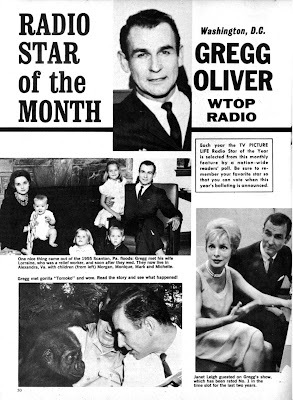 Return with us now to those exciting days of yesteryear......(thank you Lone Ranger) and discover the RADIO STAR of the month................in the year 1964! Thanks to our good friend, the amazing Bob Bell for digging up this article! 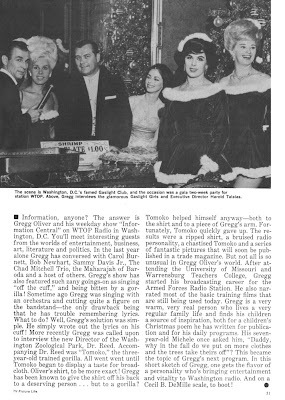 Speaking of Gregg, look what I found on YOU TUBE. It's a WTOP-TV sign off from 1964. I'm pretty sure this is Gregg.